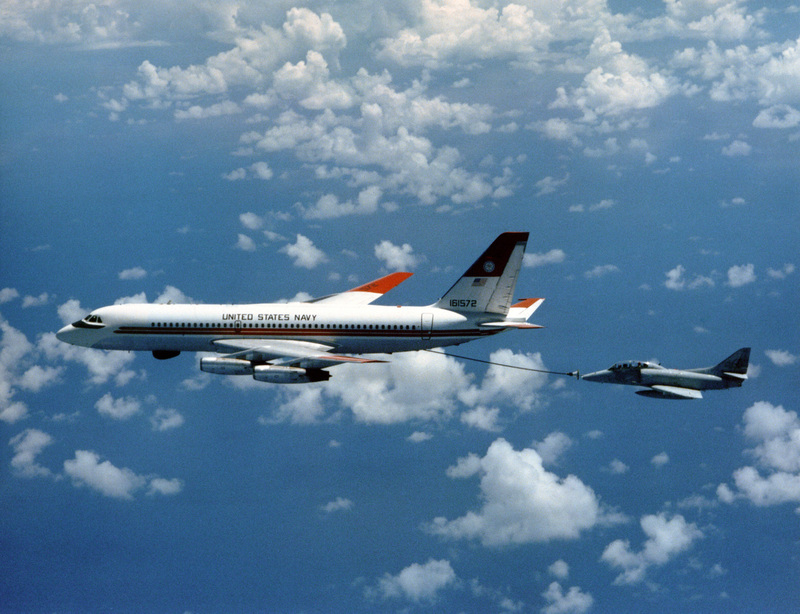 An air-to-air left side view of a UC-880 Convair aircraft assigned to the Naval Air Test Center, Naval Air Station, Patuxent River, refueling a TA-4J Skyhawk aircraft. 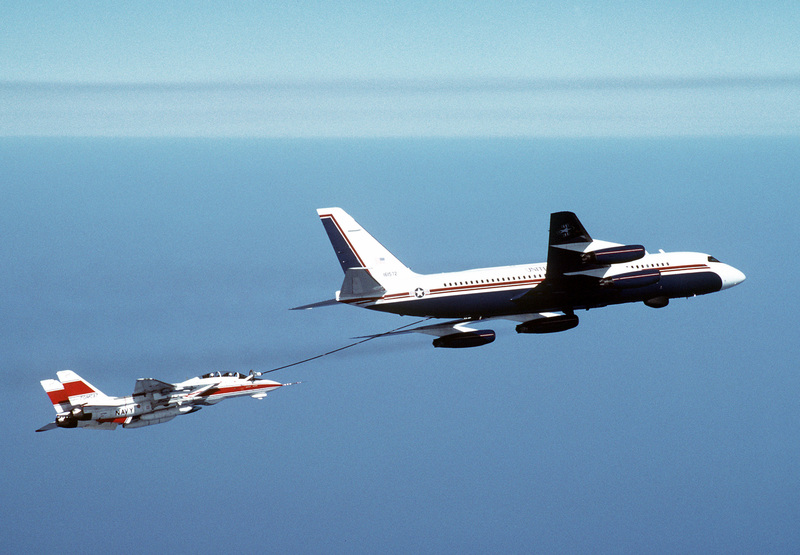 A Convair UC-880 aircraft, the only such aircraft in U.S. Navy service, refuels an F/A-18A Hornet aircraft. 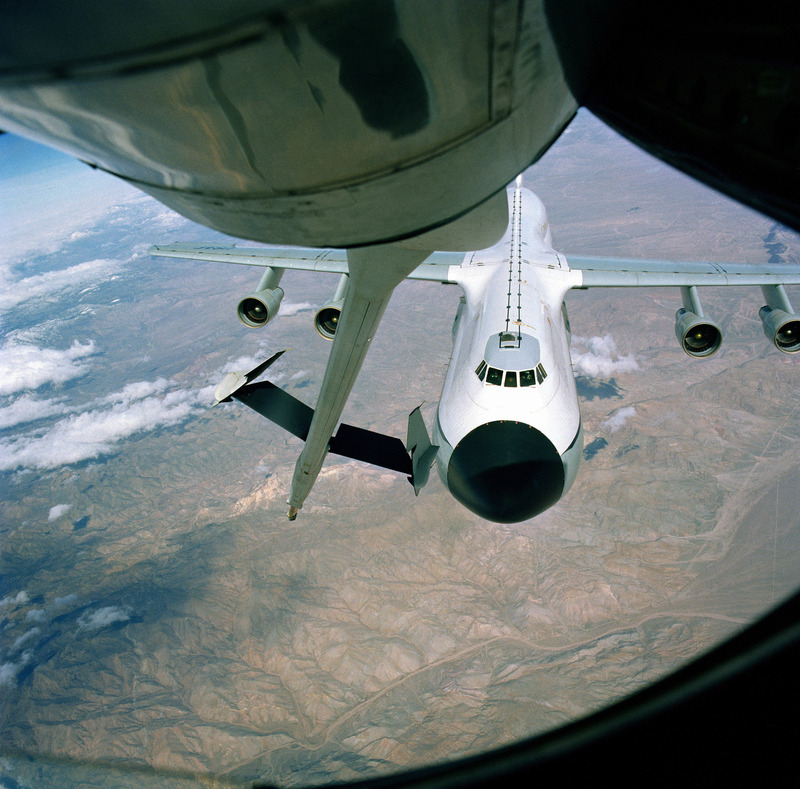 The Convair is assigned to Naval Air Test Center, Patuxent River, and is employed in Tomahawk cruise missile testing and refueling aircraft procedures. 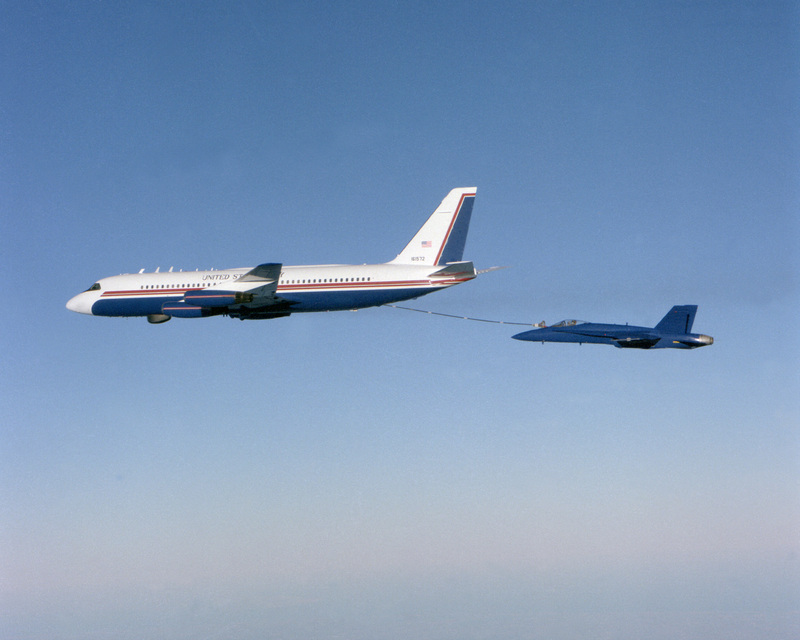 The United States Navy purchased one 880 which was modified as an in-flight tanker. 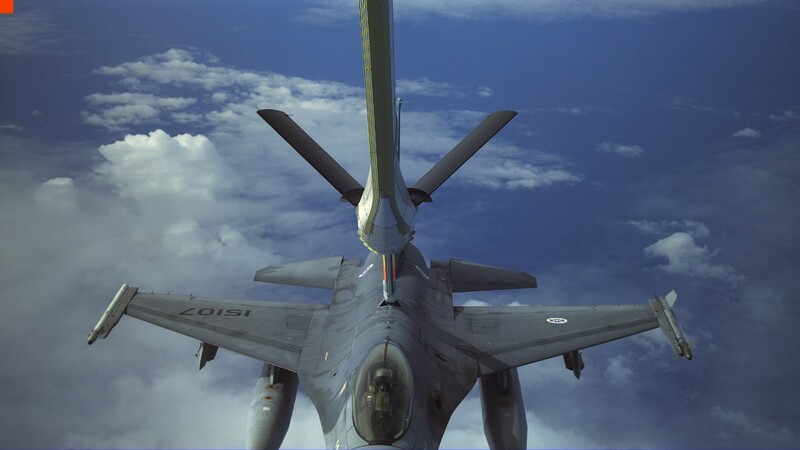 Unofficially designated UC-880, it was assigned to the Naval Air Test Center, Patuxent River, and employed in Tomahawk cruise missile testing and aircraft refueling procedures. The UC-880 was destroyed in a cargo hold explosion test at NAS Patuxent River, Maryland in 1995.